Mt. Washington is known for some of the best views in Los Angeles and 1065 Olancha Drive doesn’t disappoint. Walls of glass in the grand living room reveal jaw-dropping views that will mesmerize you for hours. White oak floors and crisp white walls create a light and airy vibe that will be sure to lift your spirits. 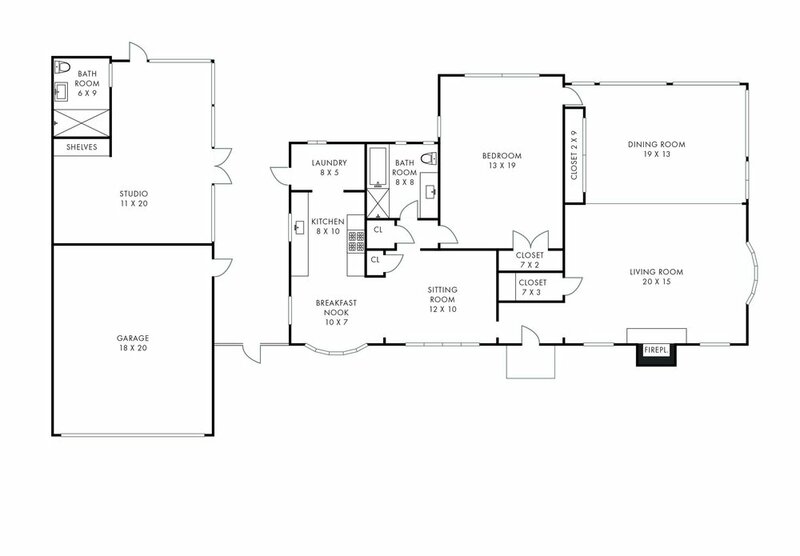 An enormous bedroom, tucked off the living room, faces the backyard for comfort and privacy. The modern bathroom was elegantly redesigned with patterned cement tile, quartz countertops and brushed brass hardware. 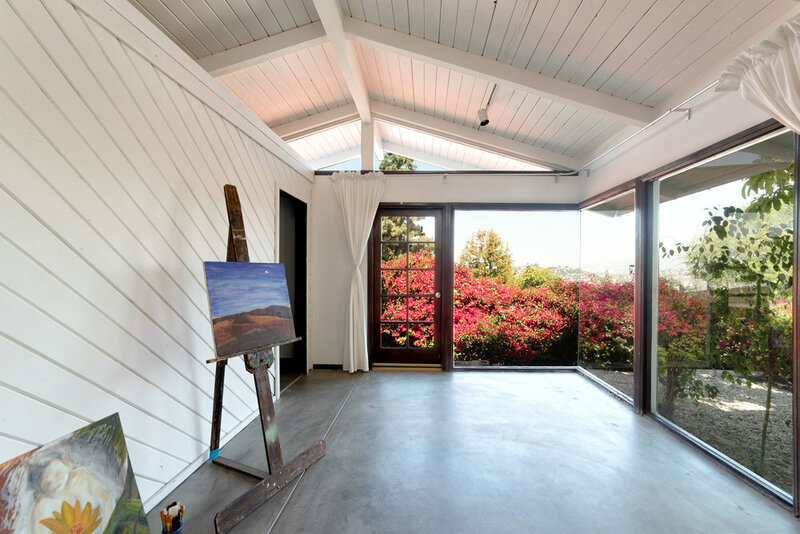 Across the courtyard, a detached studio with vaulted wood ceilings and towering windows will inspire the artist within. A flat side yard off the living room is home to a thriving garden bed and plenty of grass to entertain friends and family while soaking up the views. The entire property is a lush oasis of plants and a plethora of fruit trees including: avocado, persimmon, fig, lemon, orange, tangerine and grapefruit.